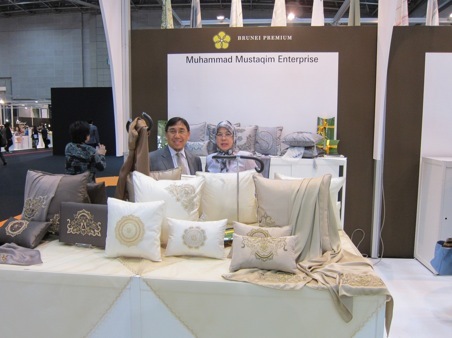 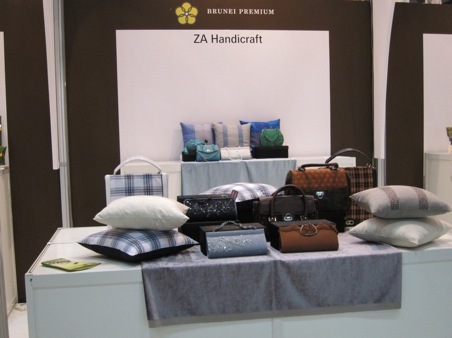 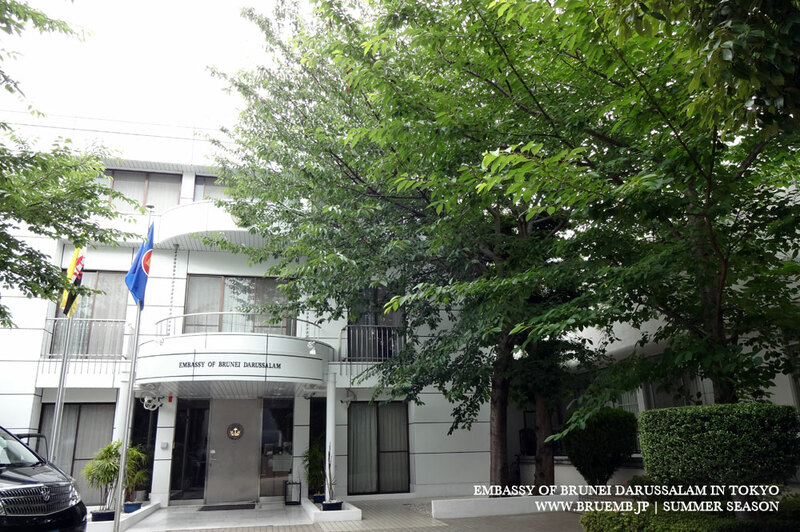 Three Brunei companies – Mohammad Mustaqim Enterprises, ZA Handicraft and S. Aisya Boutique – under the ‘Brunei Premium’ brand participated in the IFFT Interior Lifestyle Living exhibition held on 2nd – 4th November 2011 at the Tokyo Big Sight. 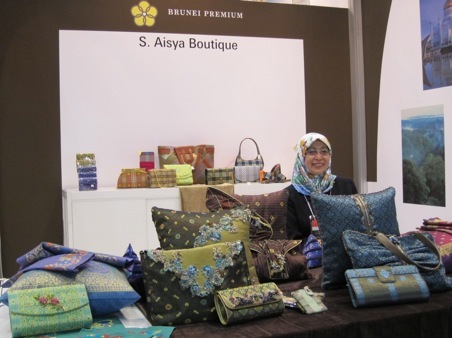 Sponsored by the Ministry of Foreign Affairs and Trade, Brunei Darussalam, the three companies showcased cushion covers, shawls and bags with Islamic and ‘kain tanunan’ motifs. 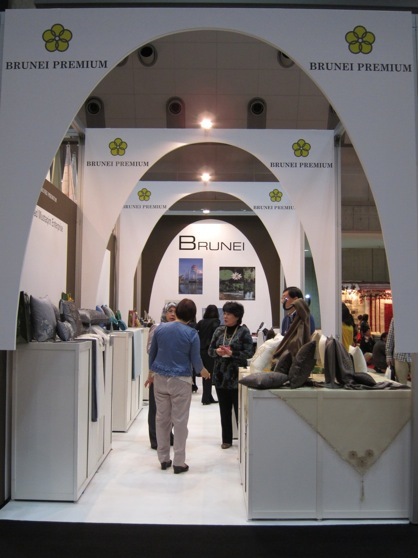 The exhibition, a premier fair for the interior lifestyle products in Japan, attracted 355 exhibitors from 15 countries.